Announcements from Finland and the Netherlands on the launch of basic income pilots are making ripples across Europe. 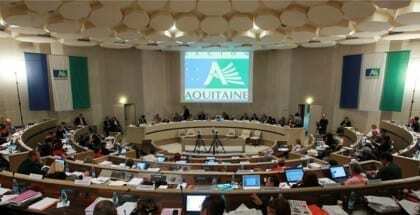 In France, the Southern Region of Aquitaine might well be the next place where experiments are conducted to assess the viability of basic income. Last Monday, July 6th, the regional Council based in Bordeaux voted through a motion marking the start of a process towards running basic income pilots in the region. Despite a heated debate before the vote, the motion proposed by Green Council member Martine Alcorta was passed unanimously. In fact, several political groups opposed the motion, but decided to abstain when it came to a vote (see the video of the plenary here). The president of the Council, Alain Rousset in particular rejected the proposal, which he believes is “against the work ethic”. But in the end he also stated he “could not oppose generosity”. « I have always been in favour of the thinking around basic income. Many people don’t get by despite the number of benefits and social assistance schemes. We have to simplify everything: both administrative procedures for citizens and the workload for social workers. So far, the adopted motion only commits the Council to start a call for projects to assess the feasibility of basic income pilots in the region. Under french law, such pilots could only be conducted under the direction of a voluntary department (sub-sections of regions in France), with the agreement of the government. The region would only provide financial support. The initiator of the motion suggests that the pilots should be based on a proposal drafted last March by BIEN’s Affiliate, the French Movement for Basic Income, to reform the existing means-tested minimum income in France, the “Active Solidarity Income” (RSA). Under this proposal, the RSA would be automatically distributed with no work requirement and along with a taxation system more friendly towards part-time workers. The current system suffers from many flaws. It is complex, discriminatory, household-based, and moreover it discourages people from pursuing paid work – or encourages them to instead pursue undeclared work – because of its threshold effects. Because of this, the RSA is neglected by the very people who need it. The take-up of RSA is only just over 50% of those eligible. The proposal being pushed forward is certainly not a perfectly unconditional basic income, but it would constitute a solid step in that direction. “This is a unique and unprecedented decision in France,” said Green local representative Marc Morisset. The Green Party of France has officially supported basic income since November 2013. Its members have been increasingly active in the promotion of the idea. Last February, another Green regional council member in Rhone-Alpes made a similar proposal, but unsuccessfully. After this historic vote, the next step will be to finance a feasibility study, find a voluntary department and locate possible areas for experiment. Inasmuch as I am somewhat familiar with and do respect your work, I would like to discuss with all of you, at your convenience, some of the opportunities presented by the general public’s increasing awareness of the always present but growing economic inequalities throughout every country, corner and continent of our potentially pleasant Spaceship Earth.